The Chattahoochee River supplies most of metro Atlanta's water. Arguments in an unusual U.S. Supreme Court case begin on Monday. It’s the latest battle in a decades-long fight over water in the South known as the “Water Wars.” The outcome could affect farmers in South Georgia, oystermen in Florida, and how people live and do business in Atlanta. The case will be in front of one man, whose title is “special master,” instead of in front of the Supreme Court justices. And it takes place in Portland, Maine, instead of Washington, D.C.
Florida is suing Georgia, saying it uses too much water, and not enough makes it down to the Gulf of Mexico. It’s part of a 26-year-long dispute between Florida, Georgia and Alabama over the water that flows in the Chattahoochee, Flint and Apalachicola Rivers. Alabama is sitting this particular round out, though it has filed a friend-of-the-court brief siding with Florida. We’ll break this down, river-by-river. The Apalachicola is the lowest part in what’s called the ACF Basin. It flows out of Lake Seminole, at the Florida-Georgia state line, where the Flint and Chattahoochee Rivers meet. It crosses the Florida Panhandle and empties into the Gulf of Mexico at Apalachicola Bay. In its lawsuit, Florida says during droughts, not enough water makes it out of Georgia and into the Apalachicola River. 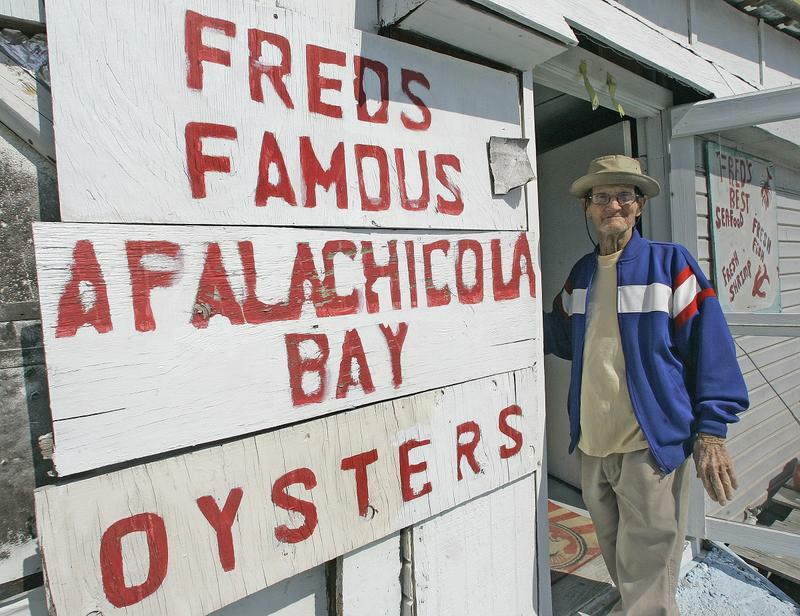 If you’re a big fan of Apalachicola Bay oysters, you’ve got a stake here. But really, the economy of the whole Apalachicola Bay area is at risk, says Florida. Florida says those low drought flows are killing the Apalachicola Bay economy, which revolves around seafood – most notably oysters. In 2012, the oyster fishery collapsed. Tonsmeire says it hasn’t recovered. This is Georgia’s fault, according to Florida. That’s a quip from a Florida Senate debate earlier this month, when Rubio referenced this case and jokingly channeled Donald Trump’s line about the proposed border wall with Mexico. The water that Atlanta uses from the Chattahoochee River is at the core of Florida’s case. Most of metro Atlanta uses the Chattahoochee for its water supply. As Atlanta’s population has boomed, water use has increased, even though per capita use is actually down thanks to efficiency measures. Florida says Atlanta is taking too much of that water. It’s asking the Supreme Court to put a cap on how much water Georgia can use from the ACF Basin. “If Atlanta itself were capped we would have a very serious problem,” says Tom Cunningham, chief economist at the Metro Atlanta Chamber. If a really strict water use limit was put in place here in Atlanta, he says, population growth would be limited, new businesses wouldn’t move here, property values would fall, income would go down, and wealth would drain out of the city. The Flint starts near Hartsfield-Jackson Atlanta International Airport, then flows down through the middle of the state before meeting the Chattahoochee at Lake Seminole on the Florida border. And farmers in South Georgia who rely on the Flint are worried, too, because their water use for crops could also be limited if Florida prevails in this case. “A cap on our water use would be a cap on our future of agricultural productivity in southwest Georgia,” says Casey Cox, a sixth-generation farmer. Her family grows peanuts and sweet corn. And the economic impacts on the Flint wouldn’t be isolated to southwest Georgia. And there are other interests to consider: Cities along all three rivers use this water; utilities need it to generate electricity. People boat and fish in the rivers; wildlife lives in them. OK, What’s Georgia’s Response To The Lawsuit? Georgia says the oyster decline in Florida is not its fault. It says when the BP oil spill happened in 2010, Florida allowed overharvesting in order to get the oysters before the oil got there. And Georgia says it doesn’t control flows on the Chattahoochee; the U.S. Army Corps of Engineers does that, because it manages the big dams on the river. This fight has been going on for more than two decades. Most of the time there is enough water to go around, says Chattahoochee Riverkeeper Jason Ulseth. He says he thinks even during droughts, everyone could get by if they worked out a way to share. The special master chosen by the Supreme Court to manage this case has warned that no one is likely to be happy with the outcome. Over and over, he’s encouraged the states to find a way to settle out of court. But that hasn’t happened. Wait, What Is A Special Master? Cases where one state is suing another go straight to the U.S. Supreme Court. But this one won’t be argued directly before the Supreme Court justices. Instead, the court chose what’s known as a “special master,” who manages the case and hears arguments. Ralph Lancaster, the special master in this case, is based in Portland, Maine. That’s why you’ll see a bunch of Florida and Georgia lawyers, witnesses and experts in Maine starting Monday, Oct. 31. After the arguments, Lancaster will write a recommendation which the justices will use to make their decision. So, Will This Be The End Of The ‘Water Wars’? You’d think a Supreme Court case would settle this once and for all. But there’s another thing going on at the same time: The U.S. Army Corps of Engineers is updating the guidelines for how it manages the reservoirs in the ACF Basin. It’s possible that once that’s finalized, if any of the three states are unhappy with that plan, they’ll sue over it.